LOW MILEAGE ONE OWNER ALL WHEEL DRIVE CR-V! 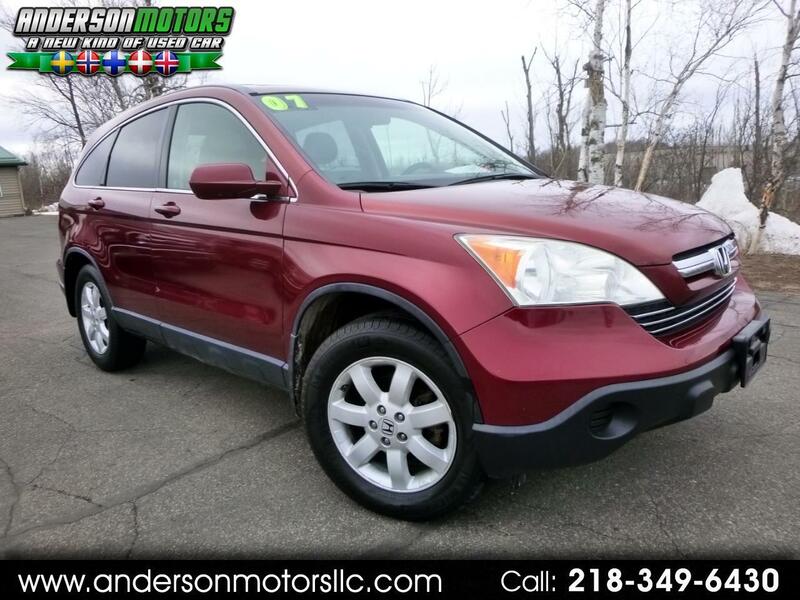 CALL JORN ANDERSON ON THIS LOWER MILEAGE ONE-OWNER CR-V! These are one of my top selling suv's! They get great gas-mileage, go nearly forever and pretty much trouble free! This one's loaded with navigation, backup camera, power moonroof, heated leather and more! Hurry, low mileage one's like this don't last long! Thanks for taking the time to check out one of our vehicles! Every single vehicle has a CLEAN TITLE and CARFAX and has been locally INSPECTED and SERVICED so you can drive care-free right away! At Anderson Motors. we take pride in what we do and want you to have a different shopping experience...this includes NO PUSHY SALESMEN... NO PRESSURE... PERIOD! Stop in and see this one for yourself or give us a call, we'd be glad to help! Message: Thought you might be interested in this 2007 Honda CR-V.